MANILA, Philippines – Palace Spokesman Harry Roque said that President Rodrigo Duterte asked to address the nation at 3:00 in the afternoon on Tuesday, September 11. President Duterte to address the nation on Tuesday. September 11 Update: Palace cancels press conference of President Duterte. No reason cited by Presidential Communications Operations Office (PCOO). Roque gave no further details on the possible topics and issues to be addressed by the President but he's certain that it will push through tomorrow. The spokesman said, “Well, he announced in Davao that he wants to speak to the nation. And if I'm not mistaken, it is scheduled for tomorrow afternoon." The unprecedented announcement came in the midst of the concerns on the rising inflation rate and Duterte’s Proclamation 572 revoking Senator Antonio Trillanes IV's amnesty. 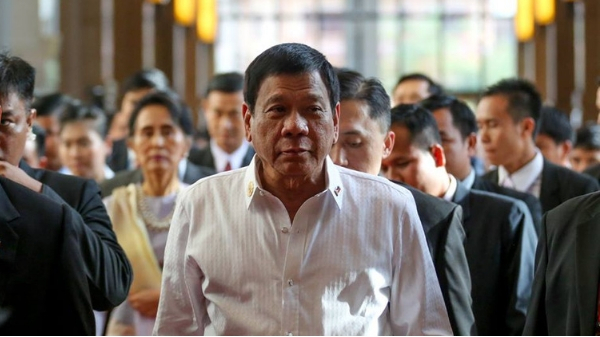 Upon his arrival from his Israel and Jordan trip, Duterte earlier defended the revocation saying that Solicitor Jose General was responsible for looking into the alleged mistakes of the amnesty. “Look, I am here to enforce the law. It was Calida who did all the research on Trillanes’ amnesty just like what he did to Sereno. You know, Calida is bright,” Duterte said. Malacañang confirmed that they have information on an alleged destabilization plot against the President. Duterte called out the opposition saying he received information that there are plans and efforts to remove him in power by October. Please stay tuned on Summit Express for more updates on this developing story.